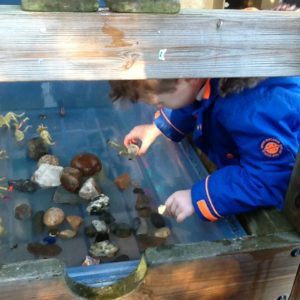 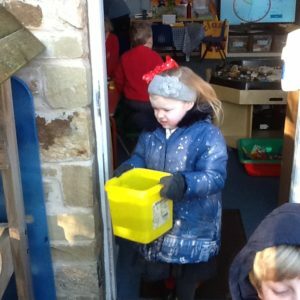 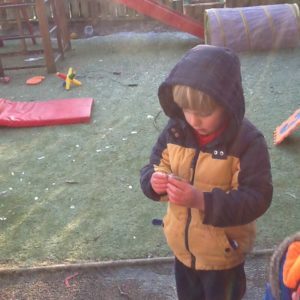 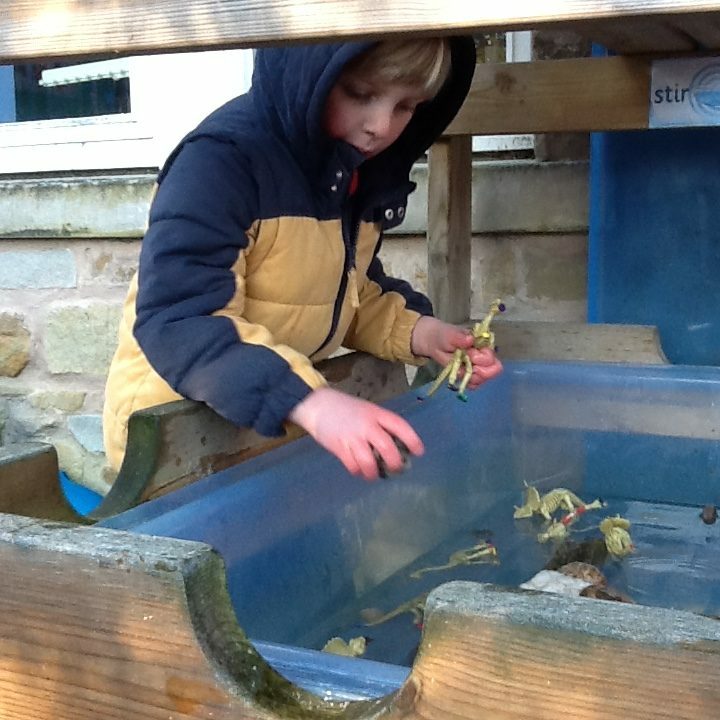 So, Reception thought about how to make a dinosaur world outdoors! 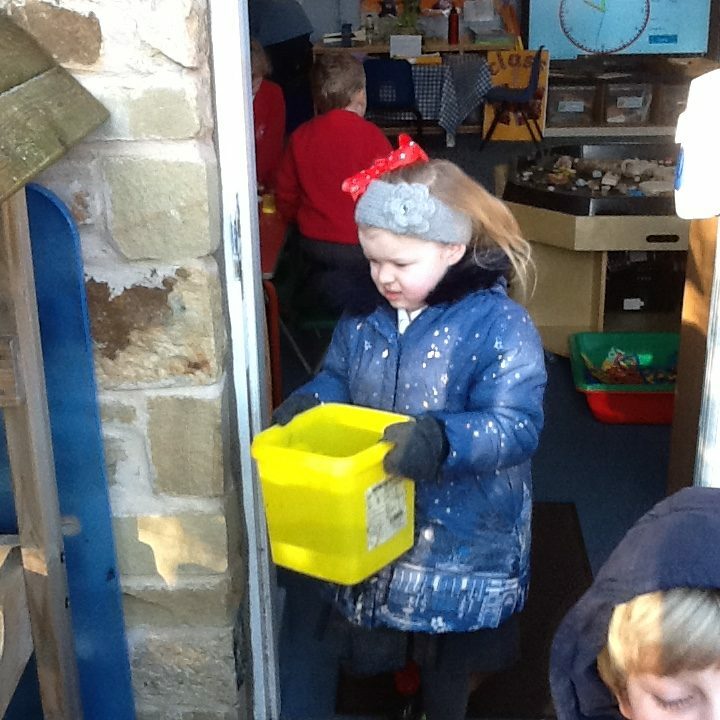 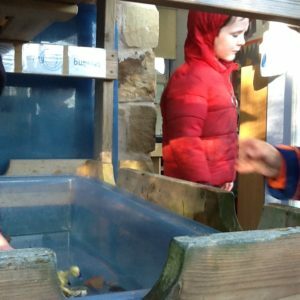 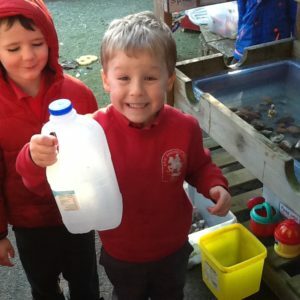 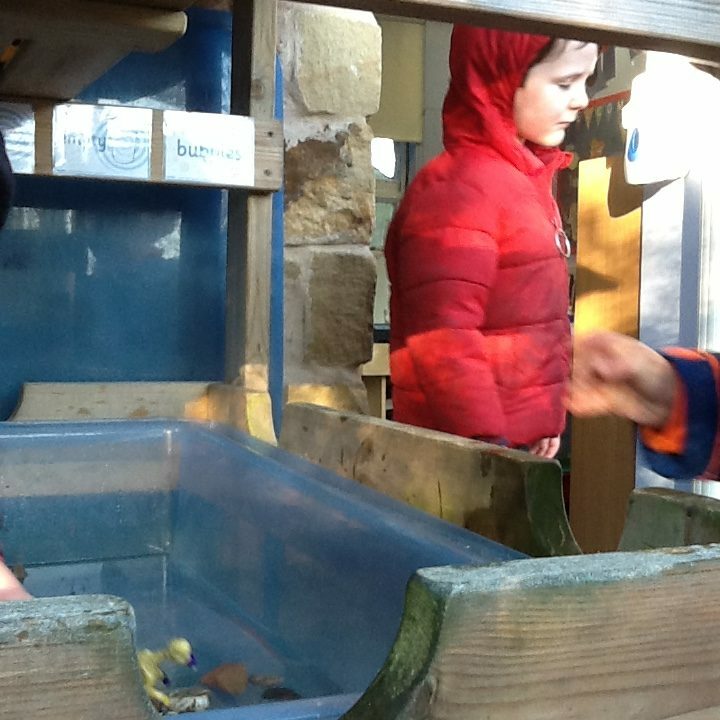 We put stones in our water tray to represent the earth at dinosaur time and then added water. 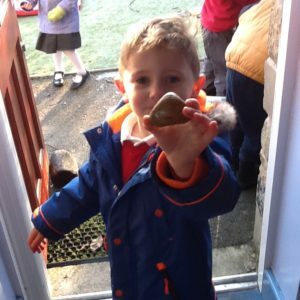 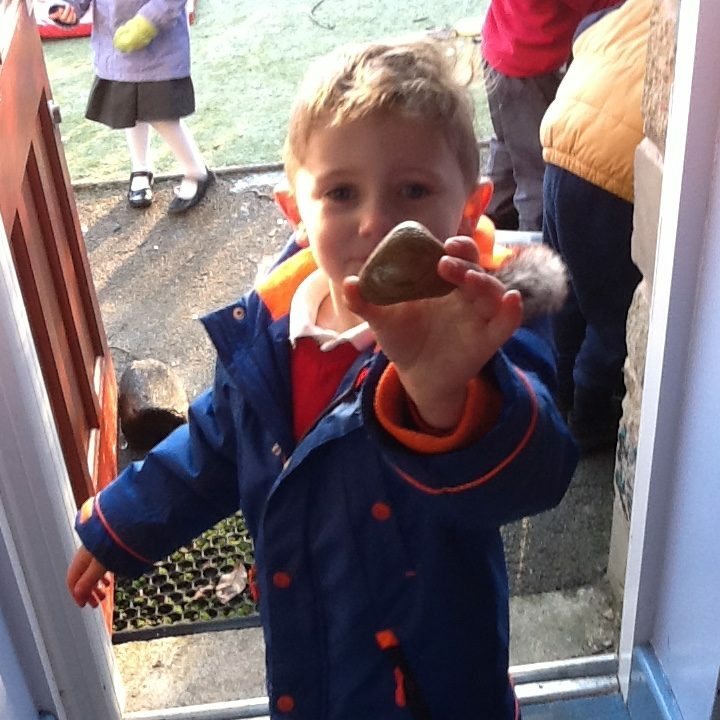 We looked at each stone and talked about how they change colour when they become wet!